If you’re anything like me, you’re intent on spending money on local businesses. And I don’t mean the “local” Target a mile away, I mean actual Local Small Businesses. I’ve finally found an alternative to large chain pet stores in Village Pet Supply here in Valley Village, CA. Walking distance from my house, and just one stop light away from the Laurel Canyon exit off the 101, this is about as Local Small Business as one can find. With off street parking and a host of friendly owners & employees, you have no excuse not to shop here. 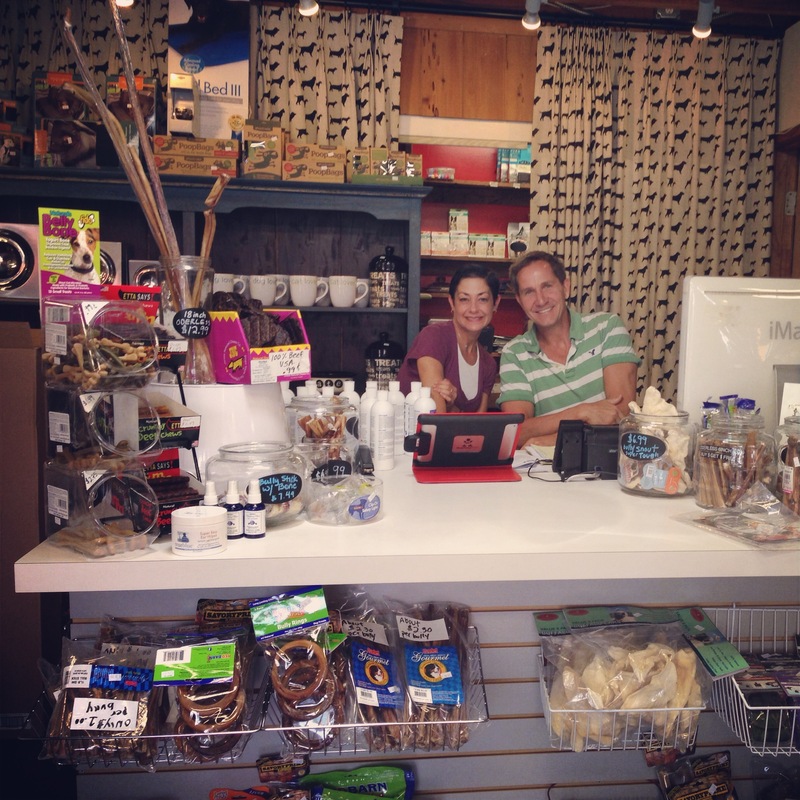 Where else can we, or our pets, get such personalized service? It took me a while to realize that I have the power to promote not only restaurants, but my favorite businesses, with this blog. I hope that no matter where you live in Los Angeles County, you’ll make a trip to Village Pet Supply and become lifelong patrons like myself! This month, I’ve had the great pleasure of working closely with Jeff & Garrett. Jeff was kind enough to answer some questions for me regarding the store and Garrett gave me a tour of the store for the product photos. Thanks to both of them! Give them a follow on Facebook while you’re at it!! Take it away Jeff & Garrett! Let’s begin with food. 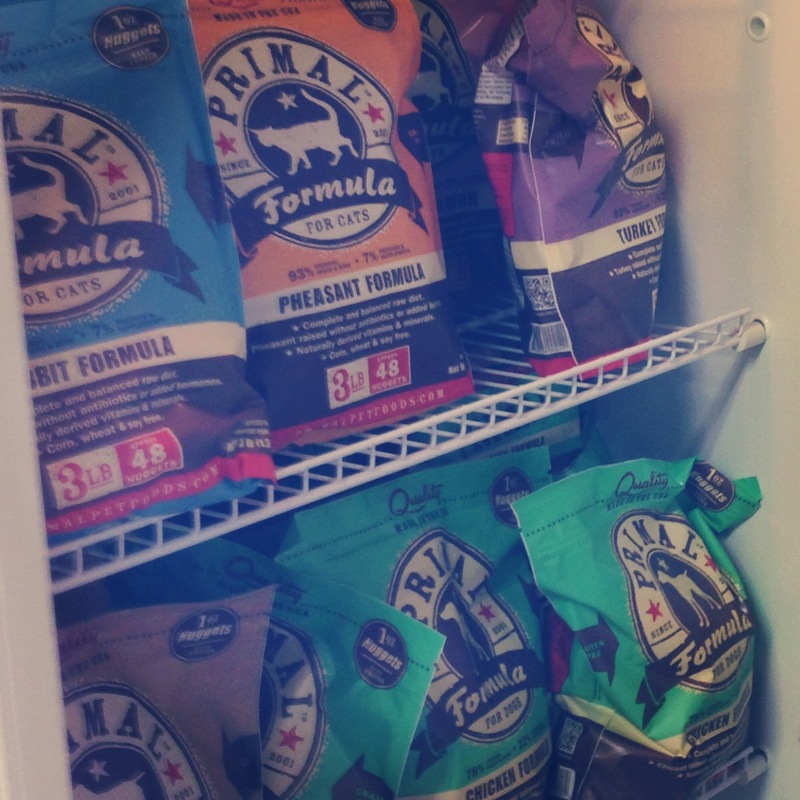 If you’re looking for refrigerated or frozen foods for cats and dogs, you’ll have a great selection from the Primal Formula line. Frozen in single serving portions, just defrost as many bricks as your pet needs and serve! Speaking from experience, my cat LOVED these foods! Of course, you can find these at a certain high end grocery store just up the street, but you don’t get this wide a selection of flavors, and you don’t get the Village Pet Supply experience. If canned food is what you’re looking for, never fear. 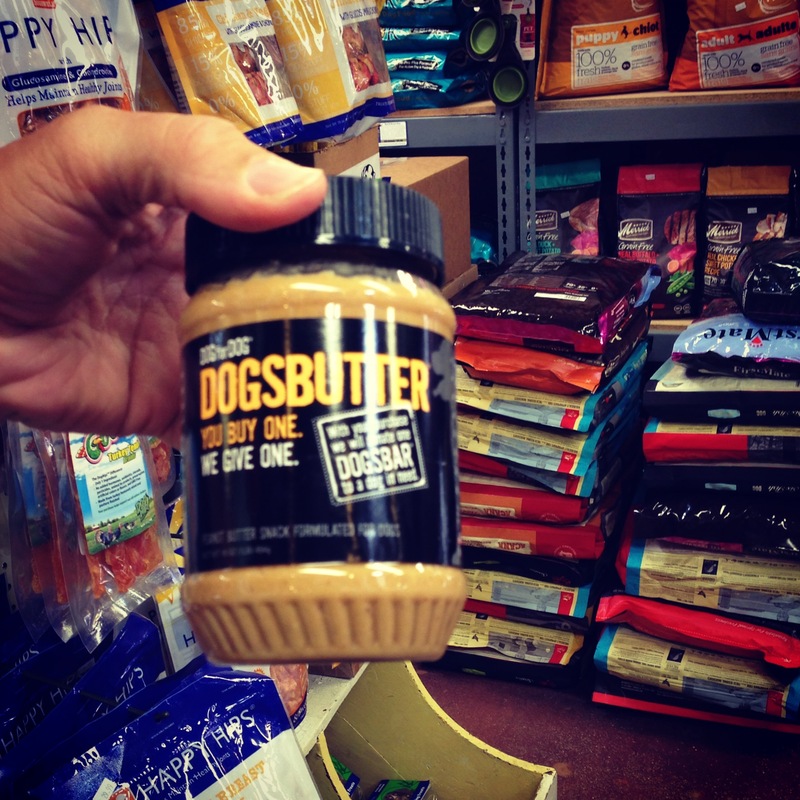 They have a huge selection of canned dog and cat foods. And what is that I spy on the top shelf? A Vegetarian option! It’s labeled for dogs or cats, but I would certainly make sure this was not the only food I was feeding my cat, and continue to ensure a proper diet (meaning getting enough taurine) as well. 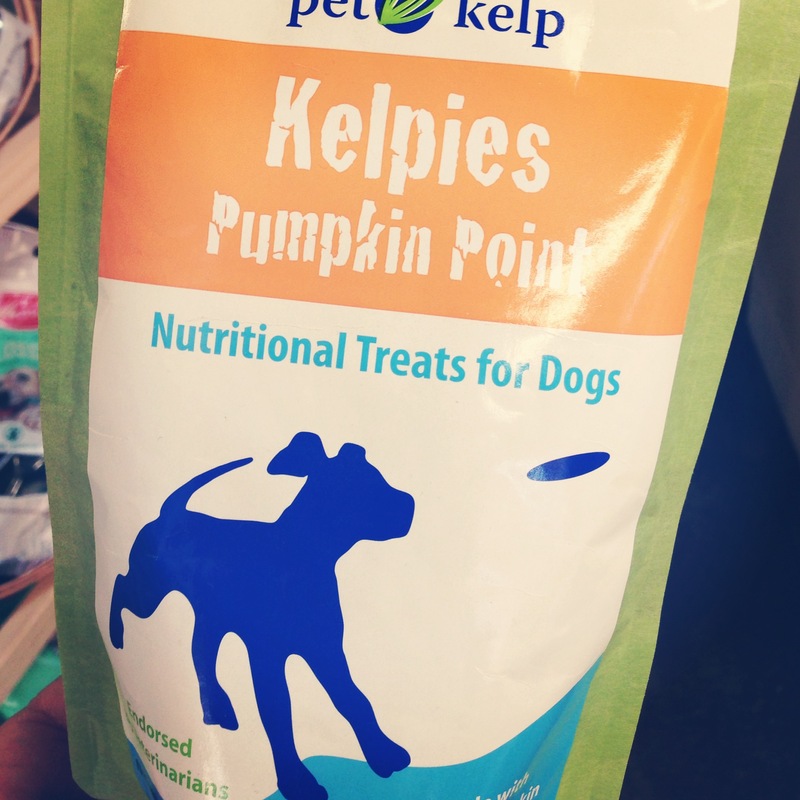 But this is a great option for dogs and maybe the occasional treat for your cat. 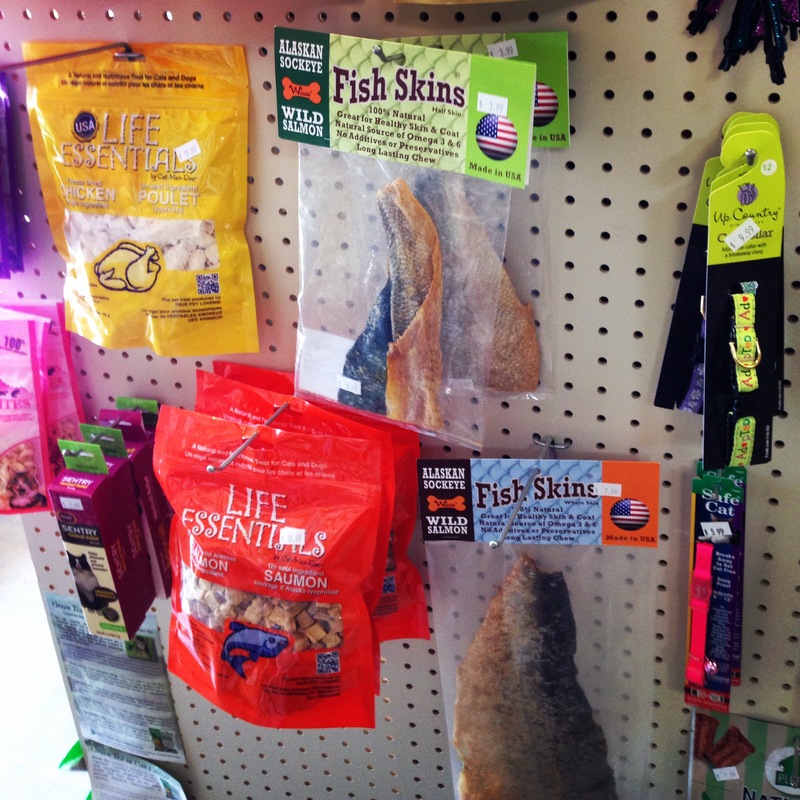 They also carry a wide selection of Applaws Cat Foods on the front window shelf, both canned and in vacuum packs. A simple food with whole ingredients (chicken, rice, broth) that cats go crazy for. My kitty loves the chicken and pumpkin variety. 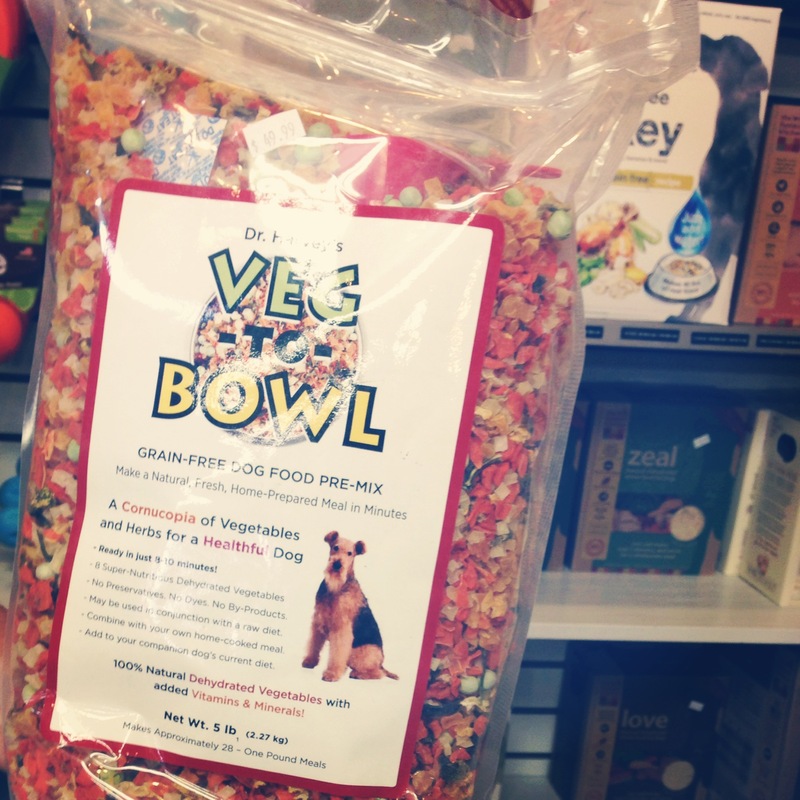 Sojos, Veg-to-Bowl and Preference are another interesting meal option for dogs and cats. Sojos has varieties that include meat in the pre-made mix, and others, like the one pictured here, which are purely fruit and veggies. Veg-to-Bowl looks like breakfast cereal! Just add water. Add meat. Add broth. And let it sit for a few minutes to reconstitute. 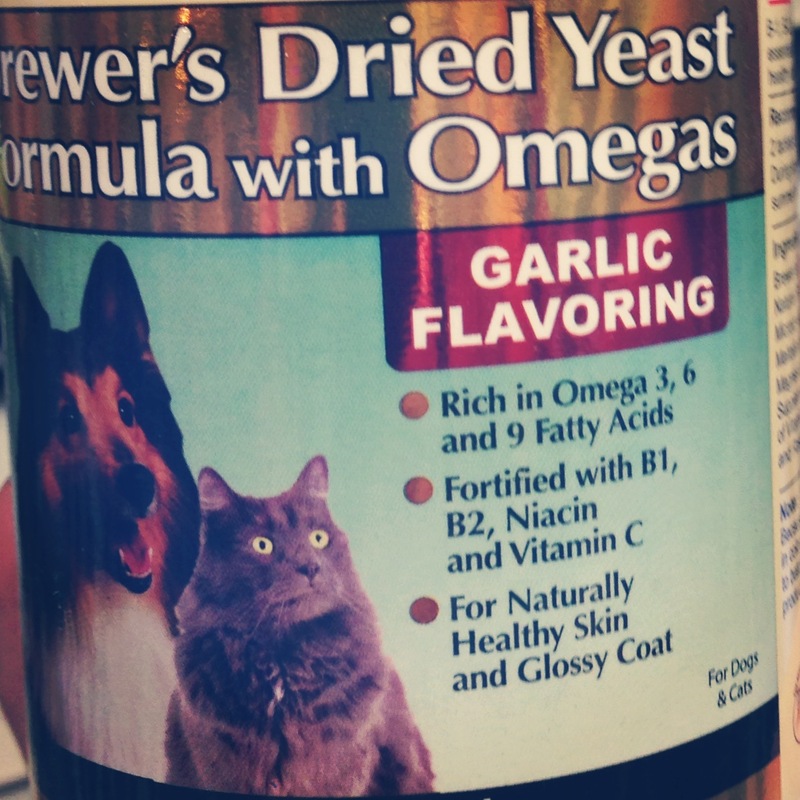 The nice thing about each of these products is that you can see what your pet is about to eat. Little pieces of vegetables, not some ground up reformed crud from the reject bin. This is good wholesome stuff you can feel good about. As a cat parent, I’m keenly aware of the fact that cats are not vegan. My cat also suffers from some health issues, so I have to be exceptionally careful what I am feeding him. I try to give my cat the best food I can, which is why things like Sojos and Applaws appeal to me. 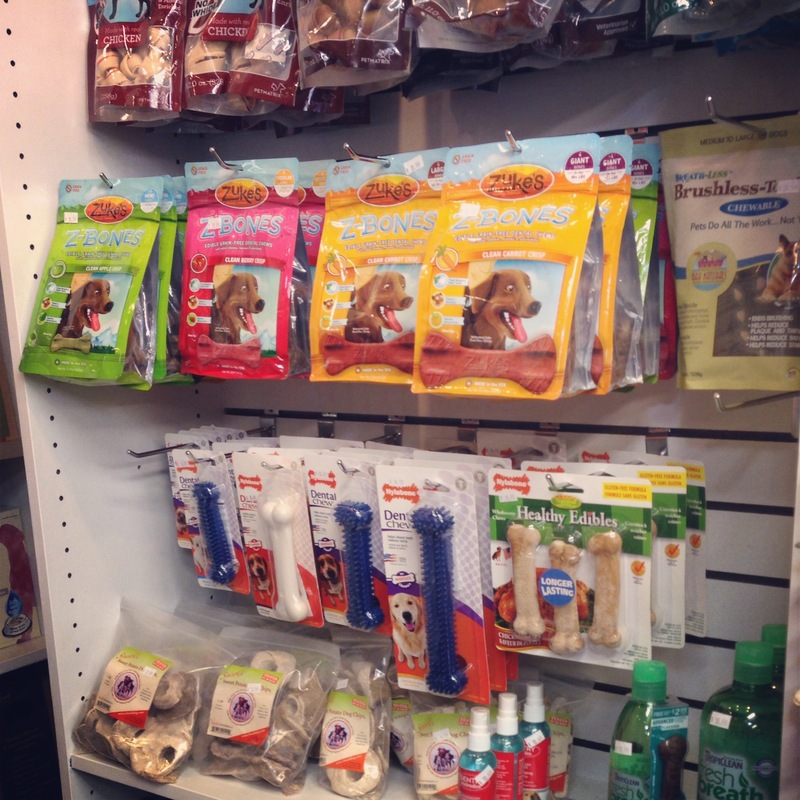 Thankfully at Village Pet Supply the options, including dry foods and soft foods, are all quality options. You won’t find anything with that little red checkerboard or a “Made in China” sticker. I feel so good knowing that no matter what I buy there, my cat is getting the best food I can feed him. Dogs? 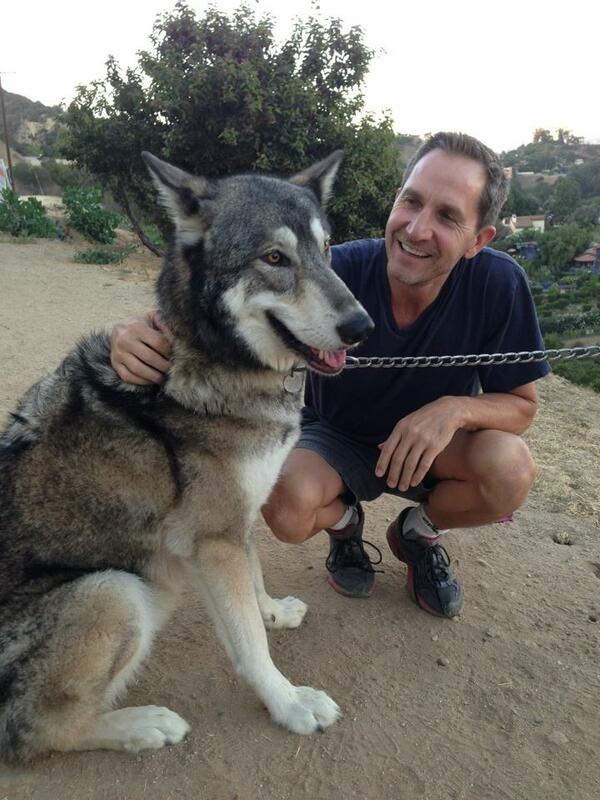 I’ve had many friends talk about feeding their dogs a vegan (or vegetarian) diet, and I say more power to you!! 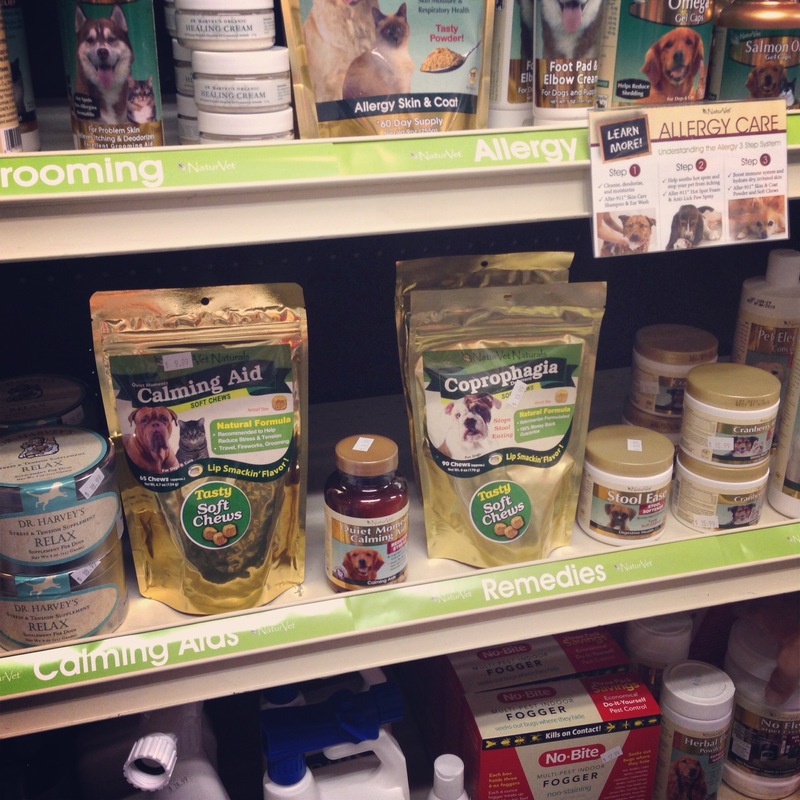 And when you walk into Village Pet Supply, you’ll be surrounded by what feels like limitless options. 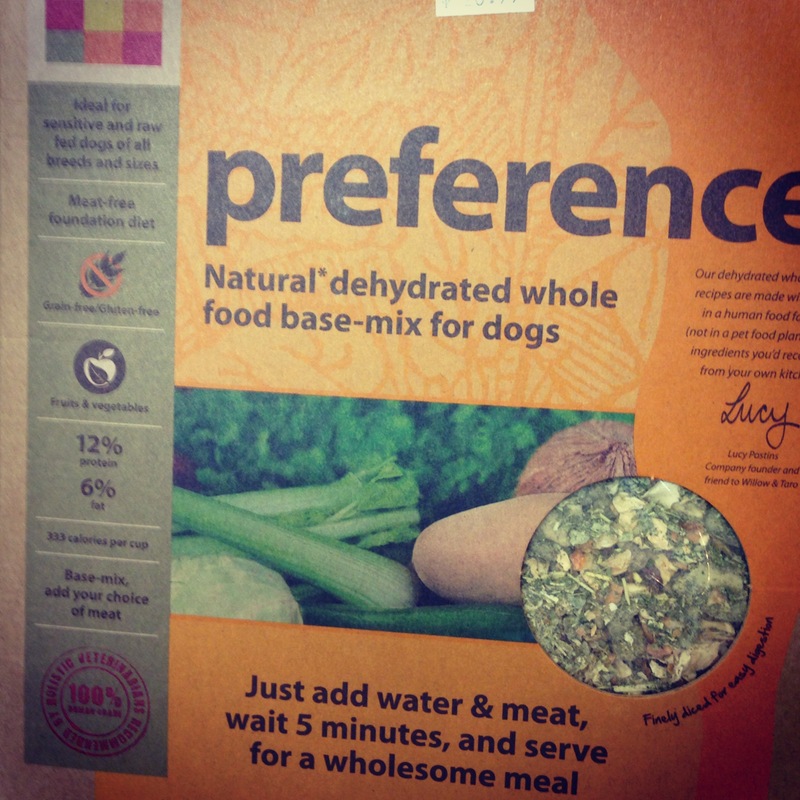 Personally, I had no idea how many vegetarian options there were for dogs! Search the internet no longer, all the products you were looking for (and at way better prices!) are just a few blocks away. 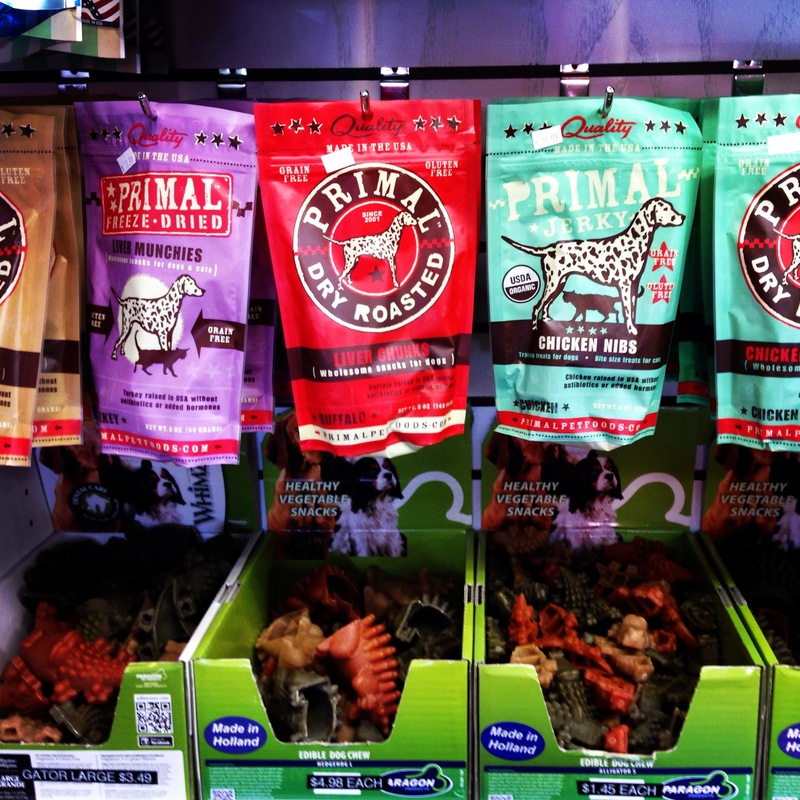 Primal also has a line of freeze dried dog treats! 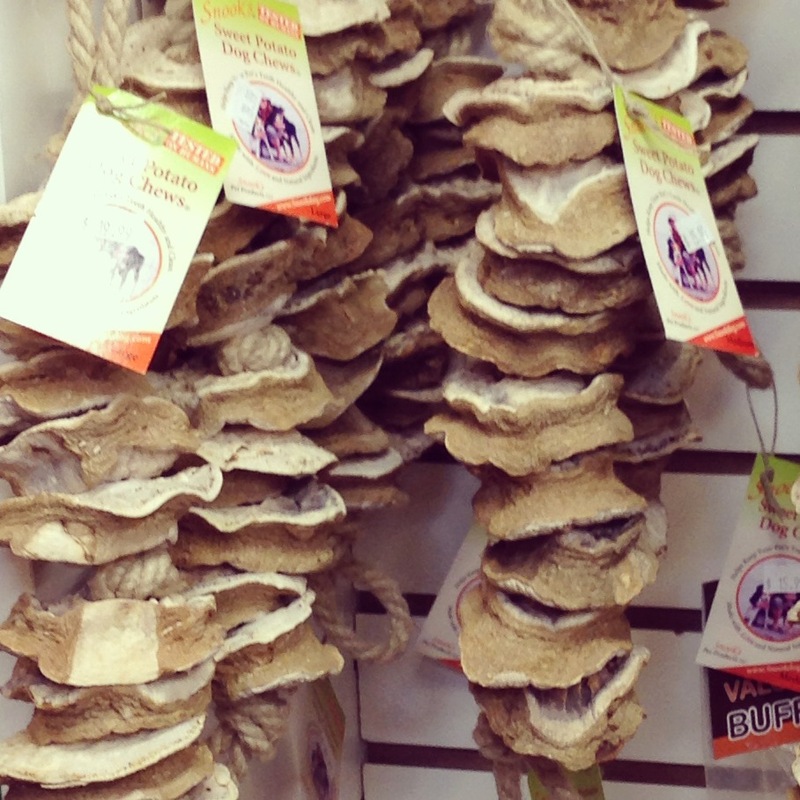 Village Pet Supply carries several flavors, including some exotic ones you may be surprised to see. And did you see those dino treats underneath? Don’t let your kids see them: they may think they’re toys! 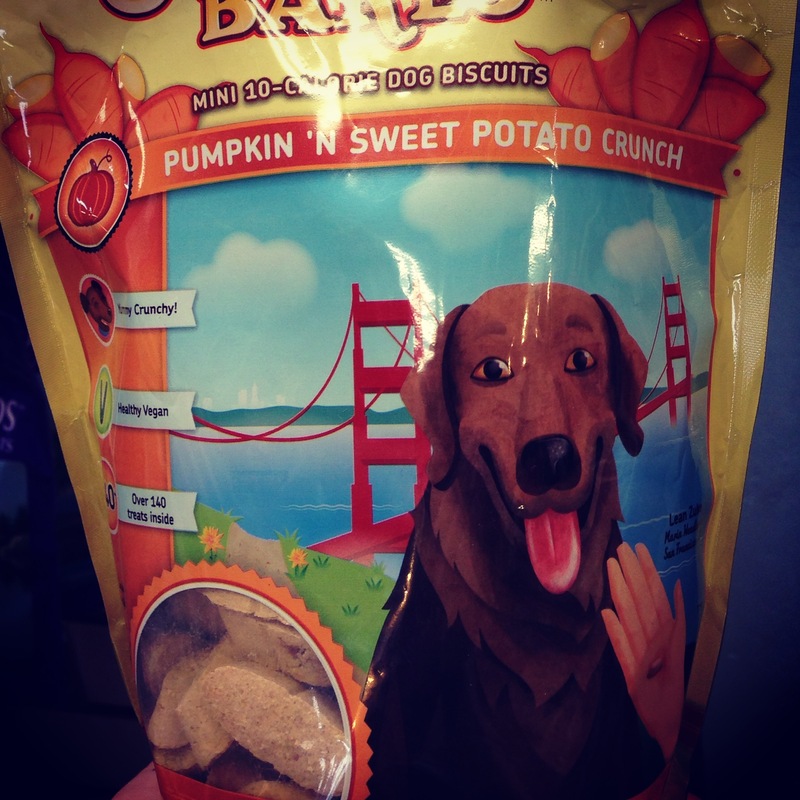 This just in: Sweet Potato dental treats are what all the hip hygienic dogs are chewing this season. Never fear: there are some fun cat treats available too! Because cats are cats, the treats are very meat centric, but rest assured that feeding your cat whole pieces of fish and liver are way better than a mouthful of Chinese poison pellets. Ever wish those natural alternatives to the harsh chemical treatments were available for you to hold in your hand, compare to the product next to it, and then make an informed decision while a knowledgeable person stood next to you and explained the differences? It would be much easier than shooting arrows in the dark at internet ordering services, wouldn’t it. When I told Garrett that I was looking for a natural flea repellant for my kitty, something that wouldn’t upset his stomach or interact with the medications he’s currently on, he jumped right in on the descriptions of the various flea products they have in stock. The first product he showed me was a spray with peppermint oil and clove extract. 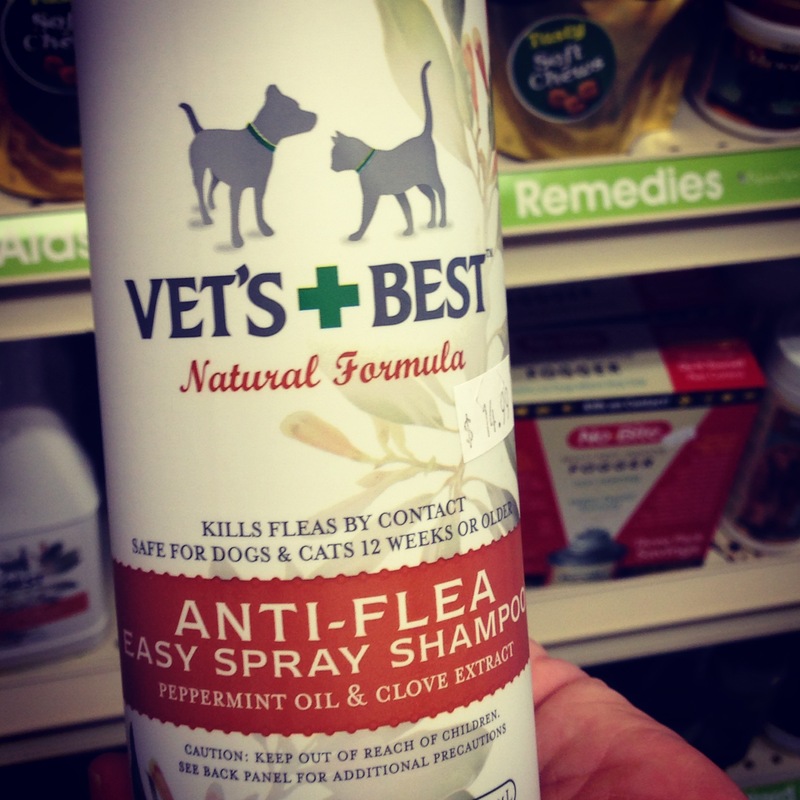 I was intrigued, but not thrilled that you have to wait until the fleas are on your pet before you use it. Maybe as a backup plan or an emergency remedy. Along those same lines is this carpet product. 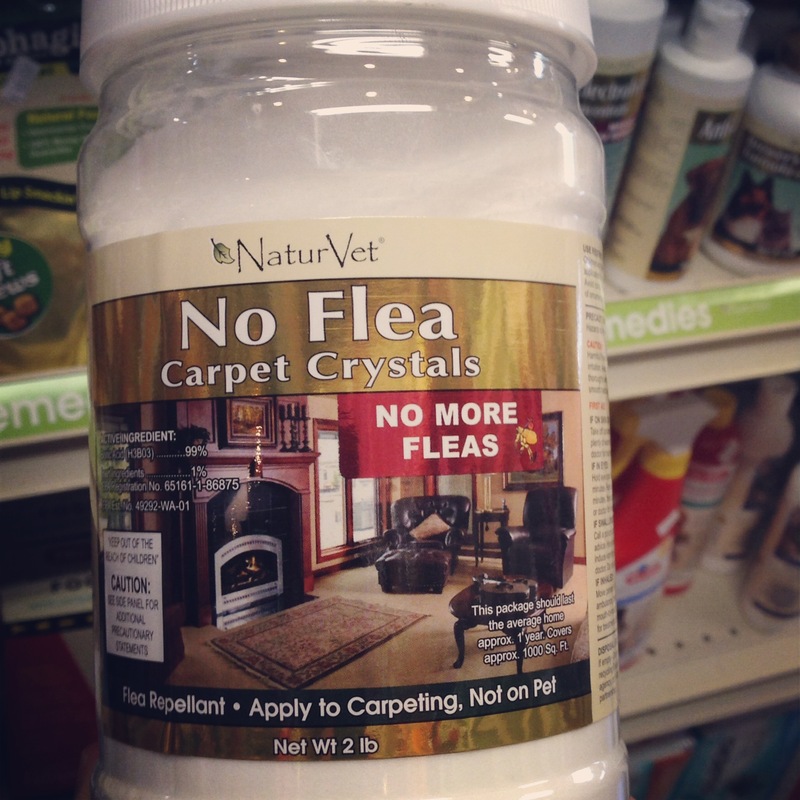 If your pet brings fleas into your house, this will get them out of your carpets. Sprinkle and vacuum. In the end, I opted for these pills made with brewer’s yeast and garlic. My cat LOVES these things. Seriously, he takes them out of my hand like a treat. I was particularly drawn to the fact that it’s not just for skin, but contains vitamins and omegas as well. He needs all that. And so far, no tummy upset, I’m not seeing a change in his flea situation, so I say it’s all good! 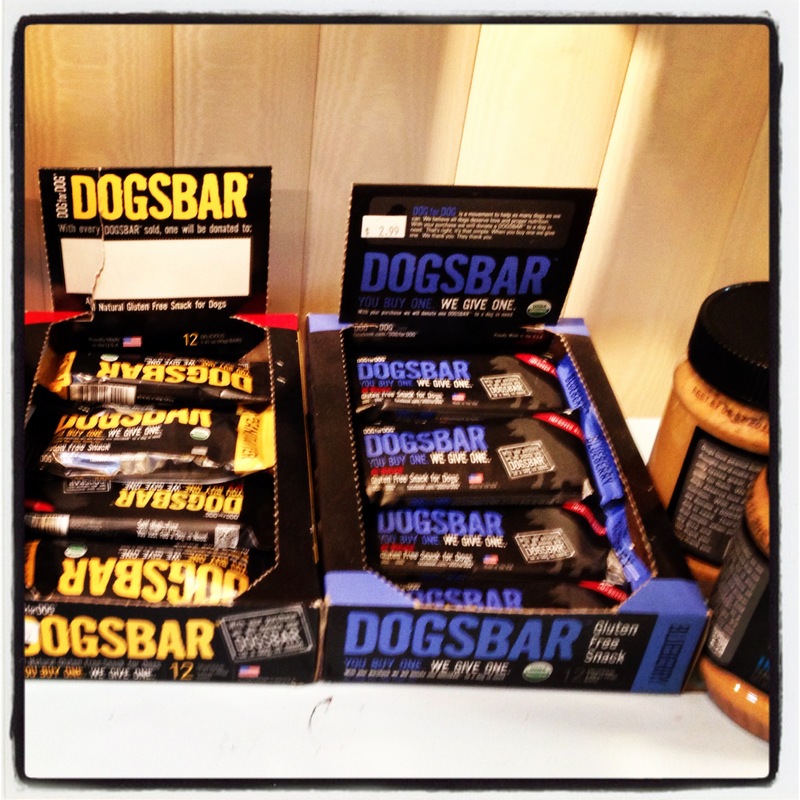 I give you Dogsbar: the power bar for dogs! I wanted to try this stuff, and Garrett assured me that it is delicious and totally human food grade. There’s no salt added, just peanuts and flax seeds. Yum! Sounds like something I could get into. 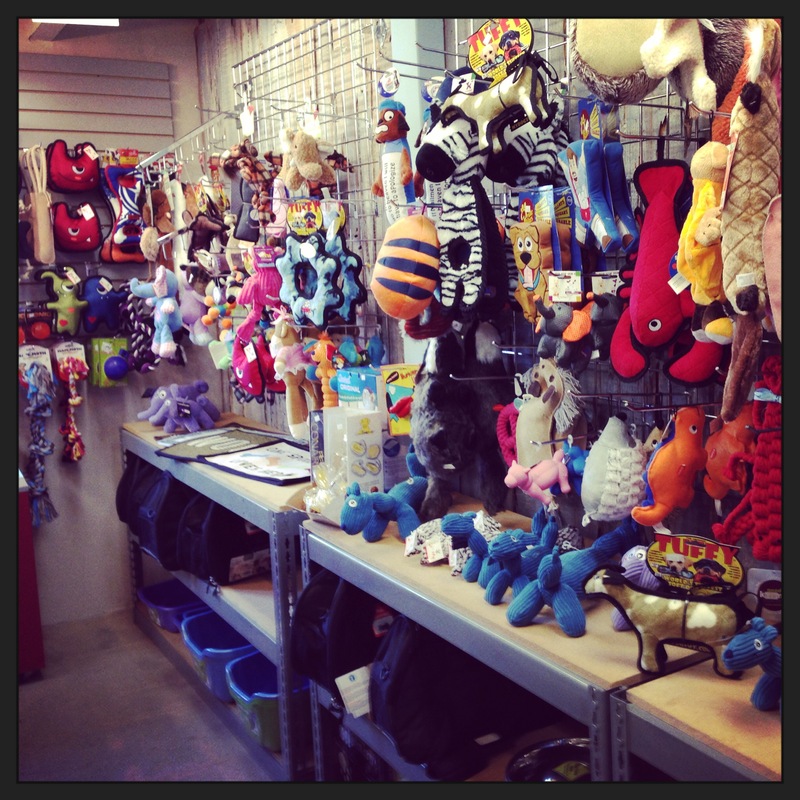 Along the back wall is a veritable wonderland for your pet. 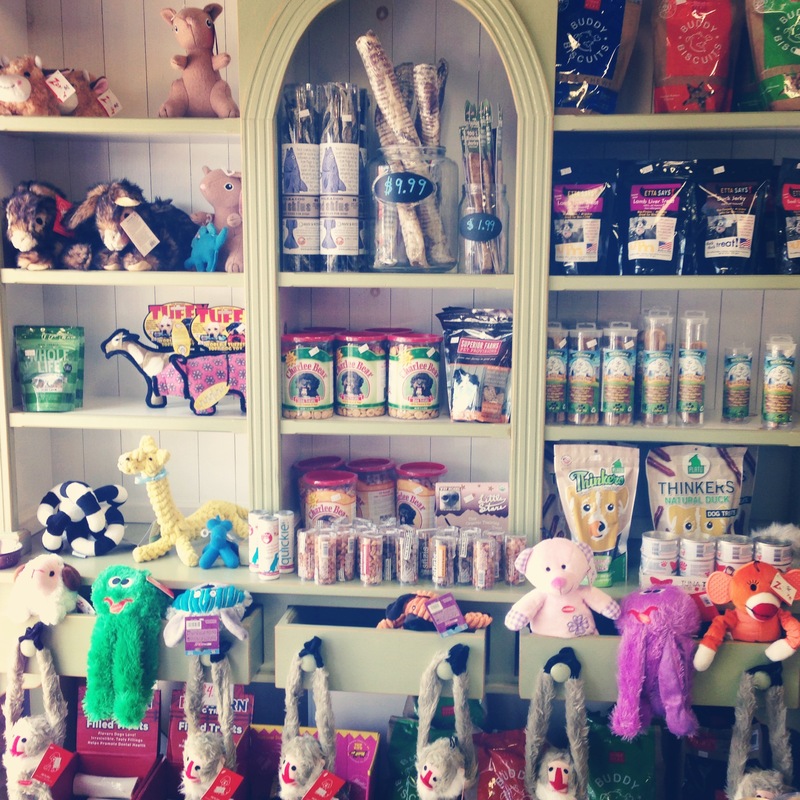 Everything your pet could need from exciting toys to really cute collars and leashes, bowls, beds, and even outfits! Bring your dog to the store and let her pick out her favorite toy. Dogs that come to the store get the royal treatment, and it’s always fun to be there when a dog comes in. It must be happiness overload! Village Pet Supply isn’t just about getting products into your pets’ bellies, they’re about getting those bellies in to your house! Every Saturday, VPS hosts a Cat Rescue with Heaven on Earth. Come on down and find your newest family member. 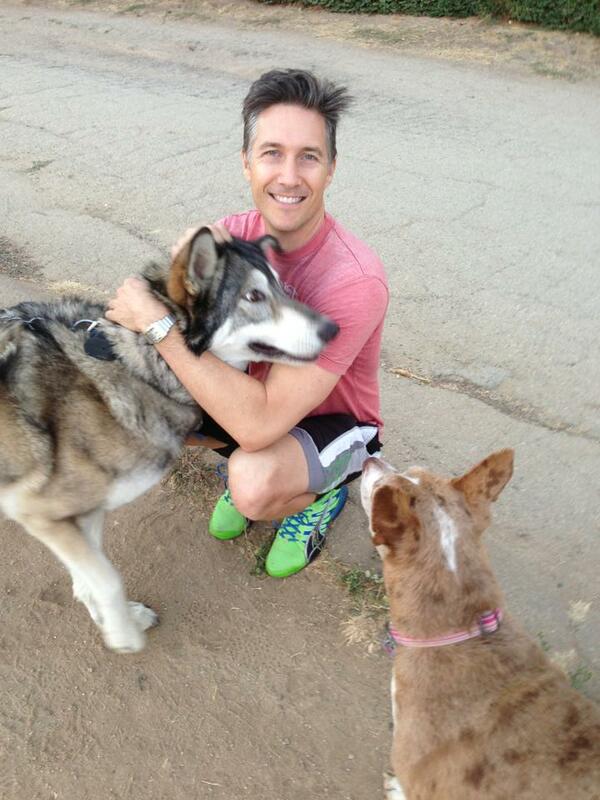 Sometimes there are dog rescues as well. I had the chance to meet a few of the potential adoptees when Beople’s Buddies were there. I have to say big hearty thank you to the guys for humoring me for this interview! I had a great time working with you both. The store gets 5 sprouts for its super veg*n friendly options, but you guys get your own 5 sprouts for being awesome!! And remember to tell them: The Valley Vegan Sent You! !